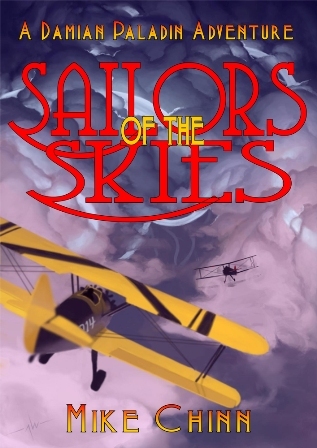 The Alchemy Press’s first eBook in Kindle format was “Sailors of the Skies”, a novella by Mike Chinn (originally published in Dark Horizons in 2009). If you enjoyed The Paladin Mandates you’ll love this story. Mike Chinn says that this tale was “written in response to a criticism from a self-confessed Biggles fan that there weren’t enough aerial dogfights in Mandates.” Well, there is one now. “I loved this story and can’t wait for the authors to write more about Damian Paladin and his beautiful associate. If you love the serials from the 30s and 40s, this is the story for you.” – R Russell on Amazon. “Mike Chinn shows an obvious love for the setting of his stories. He mentions in the dedication for ‘The Paladin Mandates’ that his father shared his love for old biplanes. Not only the period hardware, but the author’s evident interest in such things as Egyptology give a real sense of authenticity to the background of his work.